Tap into the 23.5 Billion dollar craft beer industry! Think of our brand as your neighborhood craft beer bar – only far more than a typical beer bar experience. We have optimized each of The Brass Tap’s extensive beer menu selections based on local preferences, and we keep a fresh rotation throughout the year with our 60+ taps. 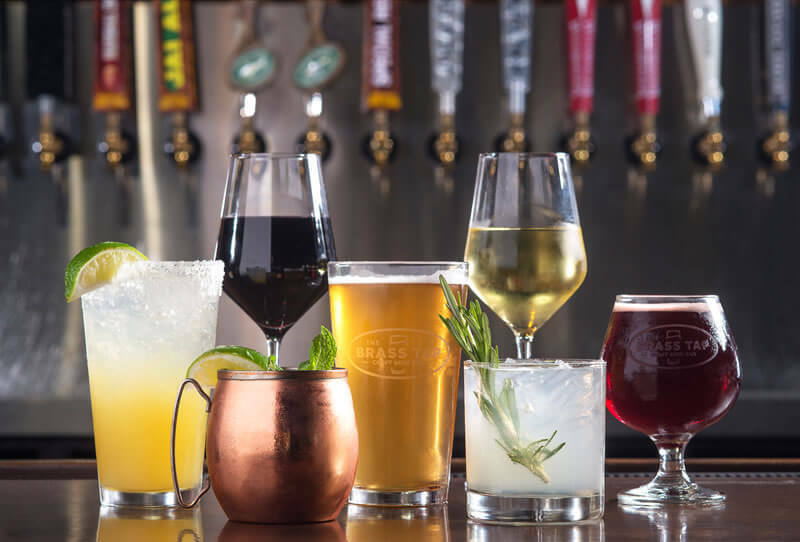 In addition to our offerings as a craft beer bar franchise, we offer a full liquor bar to keep all our guests happy as the night progresses and tastes shift. The Brass Tap doesn't do your typical "bar food". Our selections include many shareables with an up-scale twist on classic favorites. We also offer multiple types of entertainment, which means there's always something going on at The Brass Tap – from live music ... to trivia nights ... to sports … to exclusive beer tastings, tap takeovers and kill the keg nights. 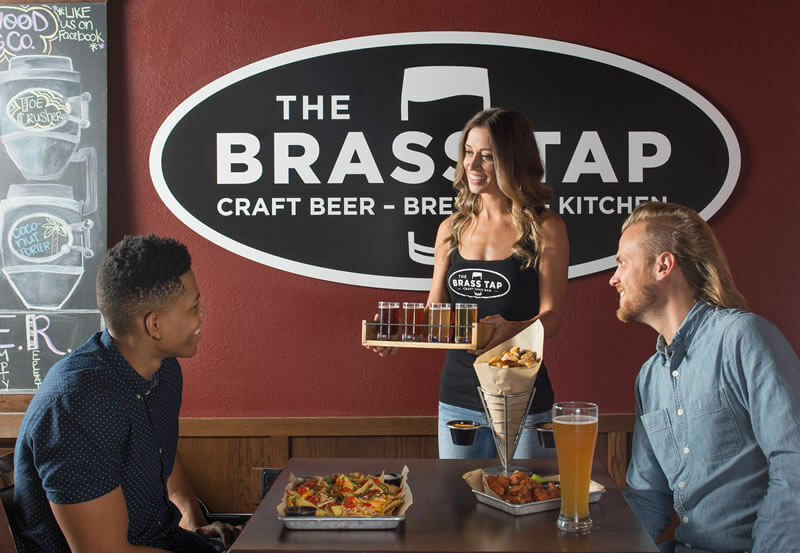 The Brass Tap is dedicated to treating people right and creating a unique experience every time. The relationship between our staff and our customers is what truly makes The Brass Tap a local neighborhood hangout. Our team is passionate about beer and eager to provide you with the best beer to fit your taste. It is our customers who make us who we are and we are happy to give back to them. 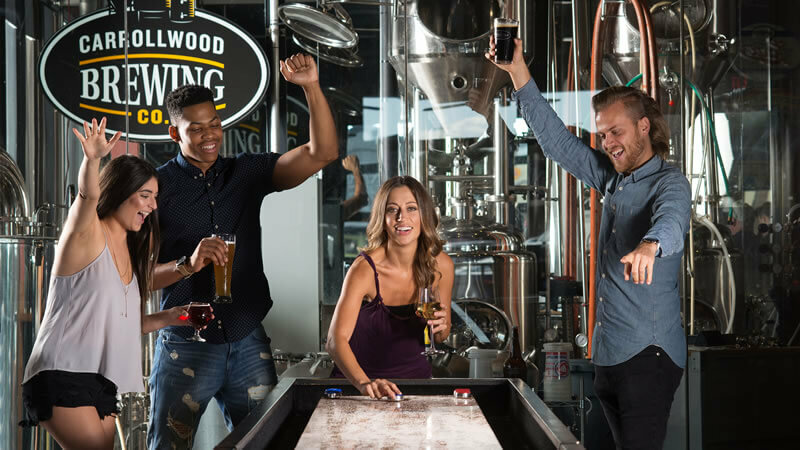 We love bringing people together and creating memories – Great times are well-crafted where there is great beer! Looking for a great business opportunity in a rapidly expanding market? The Brass Tap has all the vital ingredients. Attractive Low Costs – Unlike most restaurant concepts with a large kitchen, our kitchen is designed to offer a full menu but keep labor costs lower than a full restaurant and be more efficient. The Brass Tap is not a restaurant, but truly a bar with 65%-70% of sales from alcohol. We pride ourselves on our royalties and marketing fund being the lowest in our industry. Rapidly Expanding Market – Craft beer in 2016 was estimated at a $23.5 billion dollar retail industry. We can show you how to tap into this market. Double digit annual growth in the craft beer market has resulted and shows no signs of slowing down. As beer geeks and beer novices alike have a need to experience new types and flavors of craft beer, the Brass Tap is a perfect place for them to be regulars with our Brew Crew Loyalty program. Limited Competition - Today's consumers are looking for innovative alternatives to the traditional bars and pubs. The Brass Tap stands out from the alternatives when choosing where to go to enjoy a drink, with its casual yet energetic environment providing a wide selection of craft beers as well as being entertaining. The Brass Tap provides an extensive training and support program to help you every step of the way. Our beer training is mirrored from the Level 1 Cicerone Certification program to prepare you and your staff to complete your certification. Our training starts four weeks at our corporate location for your General Manager and Shift Manager. This initial training occurs 30-45 days prior to your opening and teaches your key management staff what they need to operate your business. When your Brass Tap opens we also provide a Support Team to assist you onsite during the week prior and following your opening. Training continues with your Franchise Area Consultant who supports you and your team on an ongoing basis as you build your business. The Brass Tap - Craft Beer Bar is currently accepting inquiries from the following states: Alabama, Alaska, Arizona, Arkansas, California, Colorado, Connecticut, Delaware, Florida, Georgia, Hawaii, Idaho, Illinois, Indiana, Iowa, Kansas, Kentucky, Louisiana, Maine, Maryland, Massachusetts, Michigan, Minnesota, Mississippi, Missouri, Montana, Nebraska, Nevada, New Hampshire, New Jersey, New Mexico, New York, North Carolina, North Dakota, Ohio, Oklahoma, Oregon, Pennsylvania, Rhode Island, South Carolina, South Dakota, Tennessee, Texas, Utah, Vermont, Virginia, Washington, Washington, D.C., West Virginia, Wisconsin, Wyoming.